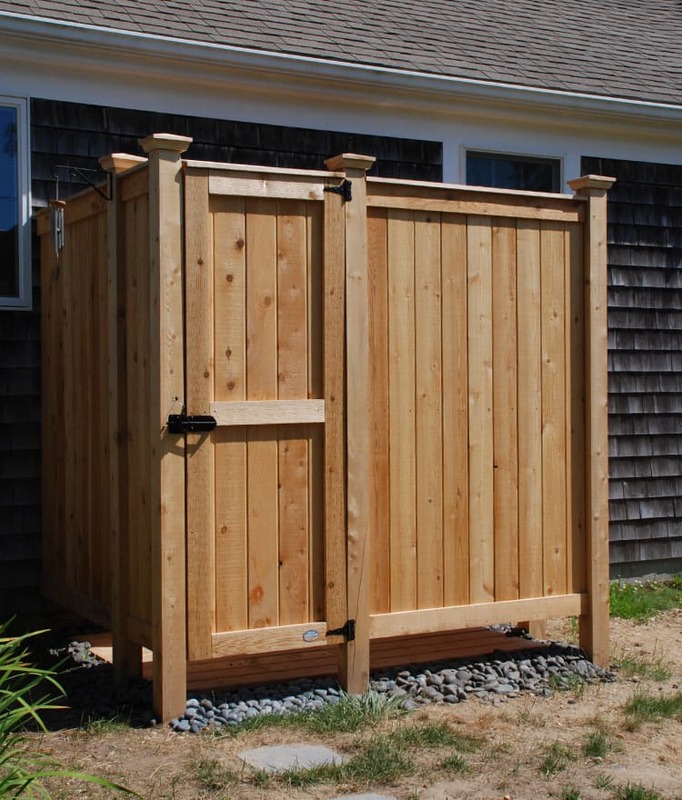 Only Cape Cod Shower Kits offers the highest quality outdoor showers with years of experience working with thousands of customers. 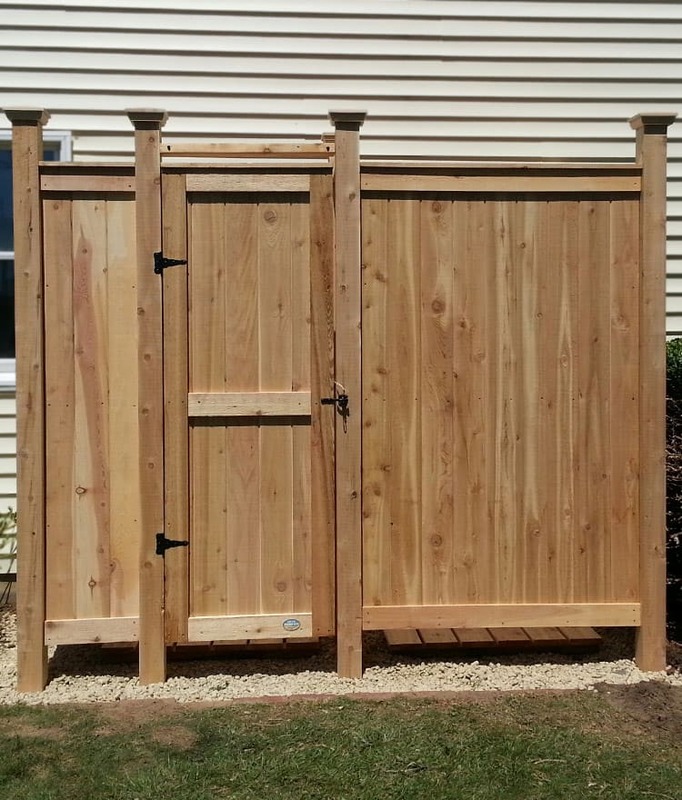 Let us help you with your dream outdoor showers enclosures. 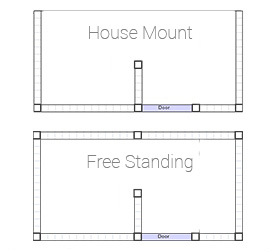 See and compare most popular options below. 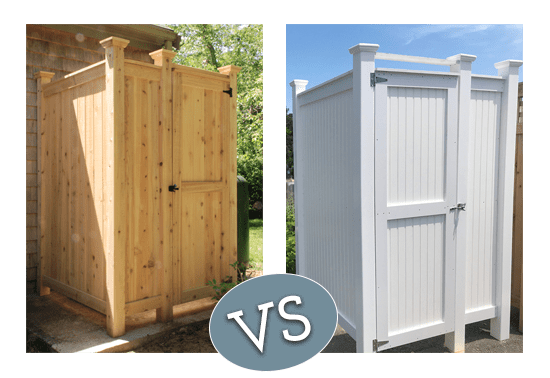 Cedar vs. PVC – What’s the difference? Built as sturdy as our cedar models, we now offer all our shower kits as a complete PVC kit too! 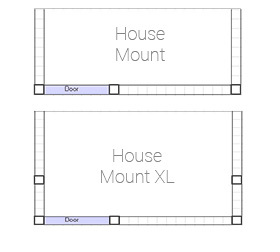 Both our original cedar and PVC kits are built with solid materials and include weather resistant fasteners to withstand Mother Nature no matter where you are. Both our cedar and PVC kits are low maintenance and easy to clean. 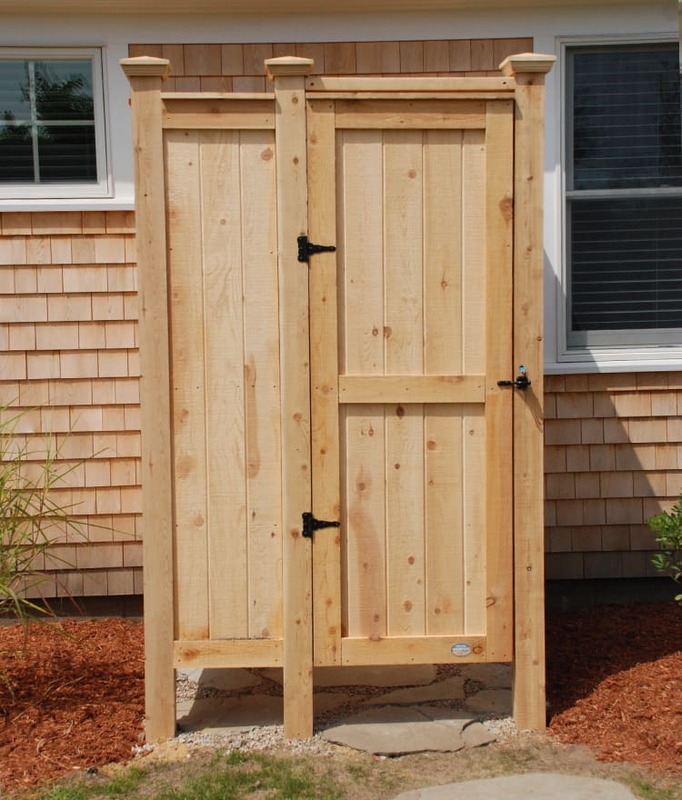 While our original cedar kits will eventually fade to a natural Cape Cod gray over time, our PVC kits will retain their original white coloring or can easily be painted to match your outdoor décor. 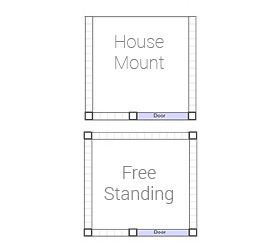 Cedar kits have a characteristic knotty appearance to them, while the PVC kits are sleek and clear of knots.